Laurent Koscielny and Aaron Ramsey returned to training on Wednesday after a while on the sidelines. Koscielny was taken off the first leg of Arsenal's clash with Bayern Munich following a hamstring injury he suffered. He missed out of the FA Cup tie with Sutton United. 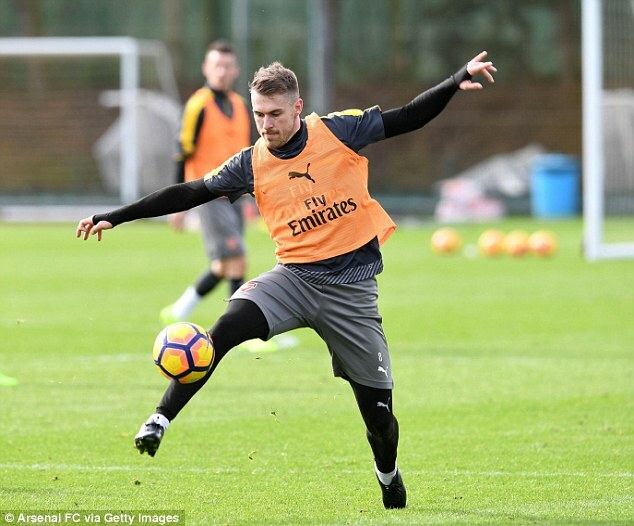 Ramsey has also shaken off his calf strain and fallen back into the team, thus putting him in contention for selection for the weekend game at Anfield. Below are pictures showing the duo in training as the team prepared for the big game with Liverpool who are just a point and a place below them.